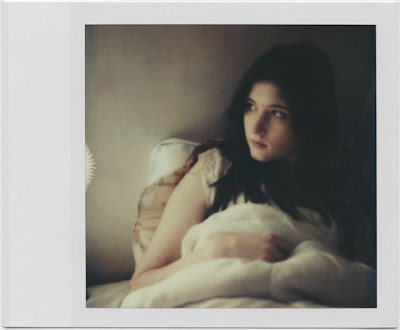 This image is from a post about time zero film from Polaroid. The author writes more about the film stock. I've made a number of amber/gold movies. I'd like to make an azure/blue movie one day. I wonder if there's a Magic Bullet plugin which is like time zero. I wonder how far I can take my camera to push the blue in that manner? We might want the blacks to sink a bit deeper. I dunno. Sometimes, slightly out of focus just looks great.